“From the Reach” is here! 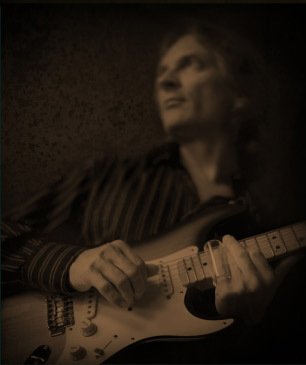 The week of May 19 marks the first simultaneous worldwide release of a Sonny Landreth album, and you can pick up a copy here now! “From the Reach” will be available all at once in North America, Europe, Japan and Australia, and it’s Sonny’s first disc on his own imprint, Landfall Records. The new album features guest appearances from a number of especially noteworthy friends: Eric Clapton, Mark Knopfler, Vince Gill, Eric Johnson, Robben Ford, Dr. John, Jimmy Buffett and Nadirah Shakoor. Longtime collaborator Dave Ranson is again on bass, Mike Burch is on drums, and friends Steve Conn and Sam Broussard are featured on keys and acoustic guitar, respectively. The new disc can also be purchased electronically from iTunes and other digital media outlets. Also at the Fairgrounds, Sonny joined C.J. Chenier, Stanley “Buckwheat” Dural, Jr., Paul “Lil’ Buck” Sinegal, Bruce “Sunpie” Barnes and a number of other legendary artists in a tribute to C.J.’s dad, late great Zydeco pioneer Clifton Chenier. “Playing acoustically in the trailer backstage before the set with C.J. on accordion and David Dopsie on rubboard, it felt like a real coming home weekend for me,” Sonny says. Sonny and the band have many more live dates planned in support of the new disc; please check our Tour Dates section for the latest. In fact, Sonny and the band had a lot of fun headlining a “Guitar Player Presents” show at New Orleans’ Mid City Lanes’ Rock ’N’ Bowl during Jazz Fest. The show was organized by Jimmy Leslie and also featured fellow hometown artists Roddie Romero & The Hub City All Stars. Plans for a possible second edition are in the works.